On Thursday, we were extremely lucky to receive a talk from Jan Nederveen from Gemeente Delft (Town of Delft). He spoke to us about some of the challenges an old historic city like Delft has as it tries to expand its cycling path. As in larger cities, the introduction of the motor vehicle threatened traditional patterns and land uses. The beautiful plaza near the Nieuwe Kerk (New Church) at the centre of town even became a parking lot for many years. However, like all of the Nederlands, they were able to reintroduce cycling to the city and slowly phase cars and buses out of the old city. 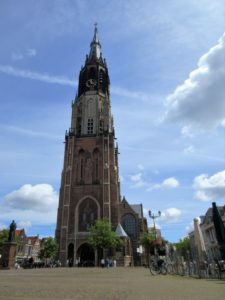 Nieuwe Kerk in the public square. 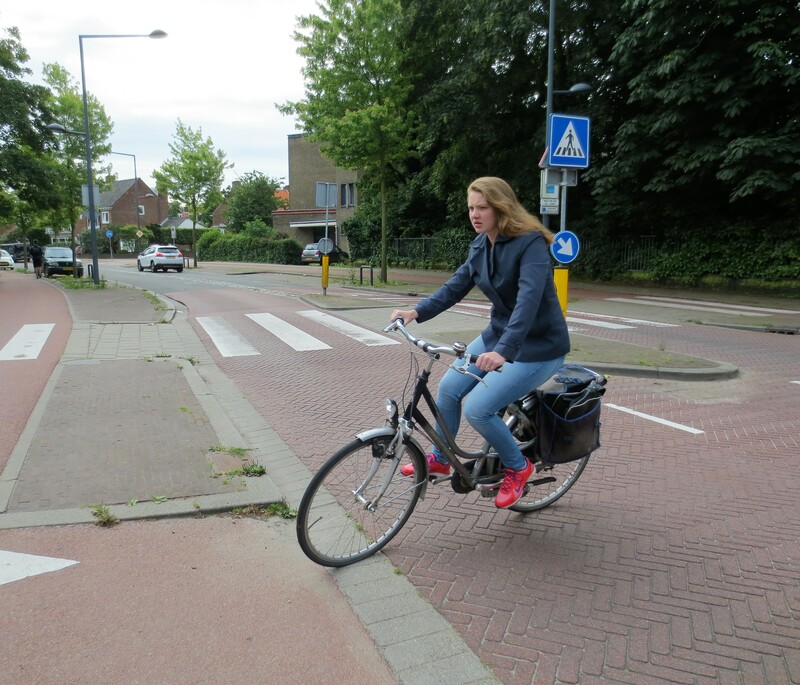 More recently, the number of students travelling to TU Delft by cycling has been their biggest problem as hundreds of cyclists leave campus by bike at peak times as class periods end and begin. Their current solution is to create more entrances and exits so that students aren’t funneled to just a few exits. Something to keep an eye on in the next few years. Delft has also done other very innovate things such as a creating their own category of street. 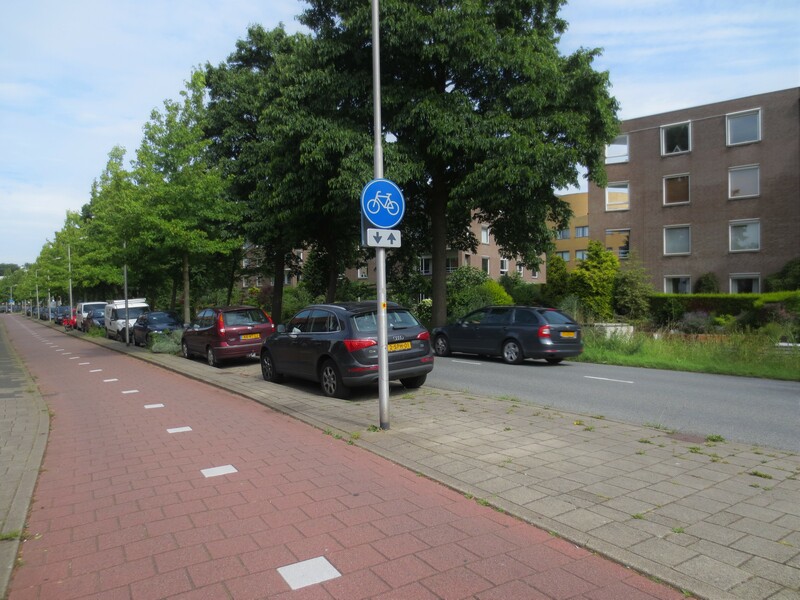 As required by the government, all roads in the Netherlands are classified as one of three categories that I mentioned in an earlier blog post (flow, distribution and local). However, Delft found they had several streets that didn’t fall under any of the national description or treatment prescription for the street types. So, they decided to make their own street type. These wijkontsluitingsweg are not safe for children to play on like local roads, but at 40 km/h they carry slower traffic than distribution roads. They have had numerous treatments applied to discourage speeding such as roundabouts,raised crossings and medians that narrow the road and help pedestrians cross safely. Building on what Roger had said the day before, it was exciting to see innovation in action. For Delft, they found that what was suggested didn’t work, so they gave their planners and engineers room to try something new and see what happened. “Be creative!” is quickly becoming a theme of the course. As one additional note for anyone interested in air quality and cycling. Apparently, air quality is one of the first things considered when deciding where to add cycling routes. 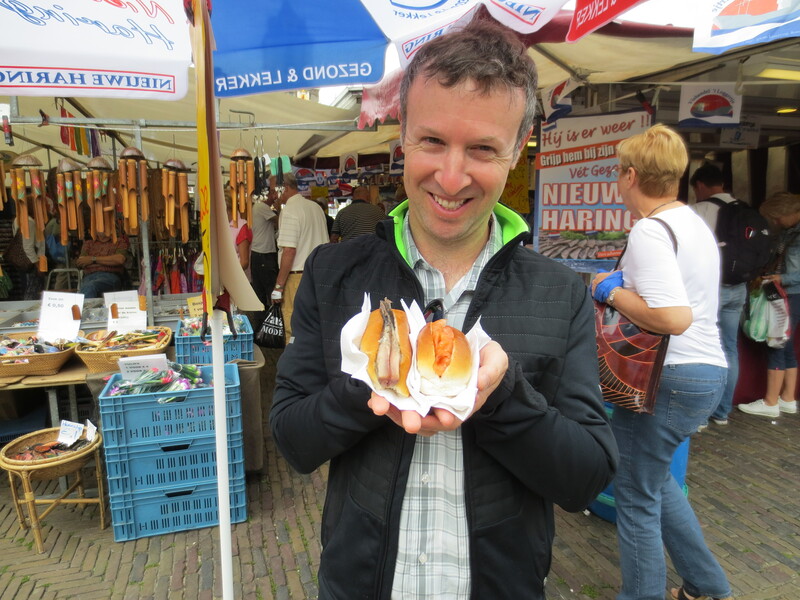 Thursday was also market day in Delft’s city plaza and we were able to eat lunch there. I had some traditional dutch pickled herring on a bun. I’m still not sure about the herring but Aaron waits all year to visit Holland to eat these. I’ll have to try them again. Aaron with some herring in a bun. Course Day 5: Day trip to Amsterdam! Houten: A Planned City in de Nederlands | Cail Smith on Course Day 2: Designing for People and One Big Windmill! ©2015. Powered by WordPress. Edited by Cail Smith from design by MageeWP Themes.